In this blog, part of our series, looking at common heating and plumbing issues in the home, we take a look at what to do if the water pressure in your shower and taps has dropped? There is nothing worse than a shower that trickles water, in the cold winter! Firstly, check that the shower head and taps are clean. Limescale can build in shower heads so use a descale product or soak the parts in white wine vinegar. If you look inside the showerhead, there will be a washer, that constricts the water flow. If you enlarge the hole, you will increase the water flow, which will create more pressure. Do you need a new shower head? 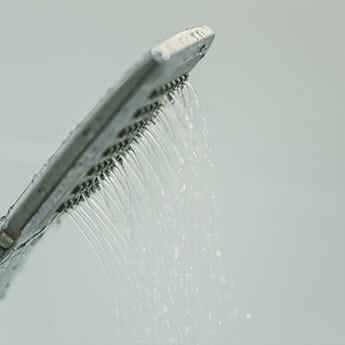 If you have an old shower, it might be time to upgrade the shower head for a new one that has a high-pressure option. There are different types if shower heads, Jet shower heads, for example are more powerful that rain shower heads. You may have a leak. It will be worth turning off your water appliances and check that the water meter doesn’t carry on moving. Time to replace corroded pipes? Particularly in older houses, pipes can corrode, especially if they are galvanised. It may be worth seeking advice on replacing old pipes in order to improve the pressure. At Carshalton Boilers, we specialise in all plumbing works. If you are struggling with your water pressure or any other plumbing issues then please get in touch today to arrange an engineer. Call us on 020 8395 8060 or visit: http://www.carshalton-boilers.co.uk/. We are a friendly, family run business, who over South London, Surrey and surrounding areas.